The global market for crude sulfate turpentine is growing at a robust pace and is likely to witness significant growth in the coming years. The increasing use of crude sulfate turpentine in diverse applications is expected to encourage the growth of the global market in the coming years. In addition, the rising demand for high-value products for personal care, especially in developing economies is likely to generate lucrative opportunities for market players in the near future. As a result, several new players are estimated to enter the global market in order to expand their product horizon and acquire a leading position in the market. Furthermore, the rising demand for fragrance ingredients is estimated to fuel the growth of the global crude sulfate turpentine market in the next few years. Additionally, the increasing production of paper and the use of crude sulfate turpentine as an alternative for petrochemical are estimated to accelerate the growth of the overall market in the near future. On the other hand, the dependence of paper and wood industry for the supply of raw materials is predicted to restrict the growth of the market. Moreover, the hazardous effects of organic solvents and the high cost of production are likely to hamper the growth of the overall market in the next few years. Developing countries across the globe are estimated to witness a high level of growth, owing to the rising demand and increasing population. Moreover, the rise in the disposable income of consumers resulting in a high demand for personal care products is encouraging the growth of the market in the near future. A substantial rise in the level of competition is expected among the leading players operating in the global crude sulfate turpentine market. The study compiled on the basis of primary and secondary resources available helps both existing and new players operating in the global crude sulfate turpentine market in forming important business strategies. It presents detailed information about the development trends of the market. Market dynamics, key growth observations, regional information, and competitive landscape are also extensively covered in the report. The growth of the market is hampered by the high capital investment requirements in fractional distillation that limits manufacturers from efficiently utilizing raw materials. 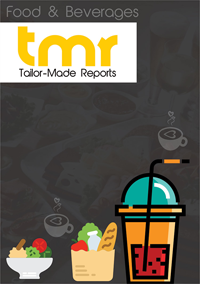 Furthermore, the low rate of recovery of black liquor through Kraft process is hindering the growth of the market. The growth of the market is also challenged by the dependence on the paper and wood industries for raw materials. However, the rapidly growing middle-class population in emerging regions such as Asia Pacific are paving way for strong demand for high-value personal care products. This is likely to create substantial growth opportunities for the market. Moreover, the increasing dependence on crude sulfate turpentine as a substitute to petrochemicals owing to its safe and eco-friendly nature is estimated to augur well for the growth of the market in the near future. The key regions studied in the report are North America, Asia Pacific, Europe, and Rest of the World. North America is expected to command a large share in the market throughout the forecast period. Countries such as Canada and the U.S are prominent producers, exporters, and users of turpentine. The widespread adoption of crude sulfate turpentine across chemicals and paint industries is augmenting the growth of the region. Asia Pacific is estimated to rise at a tremendous CAGR during the forecast period. The growth of the region will be driven by high population base countries such as India and China. The demand for personal care products is increasing at a brisk pace, which in turn is fuelling the growth of the region. Some of the prominent players in the global crude sulfate turpentine market are Harting S.A., Arizona Chemical Company LLC, Dujodwala Paper Chemicals Ltd., Derives Resiniques et Terpeniqes, Pine Chemical Group, International Flavors & Fragrances Inc., and Privi Organics Limited. The key players in the market are acquiring small players to strengthen their reach across different regions. They are increasingly focusing on enhancing their product portfolio in order to stay relevant in the market.